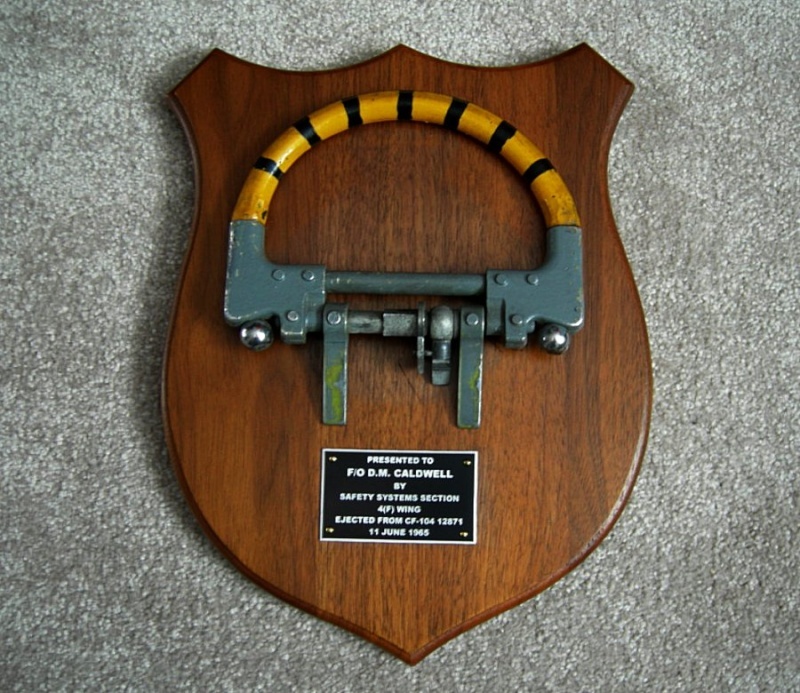 In the RCAF fighter community there is a tradition that the pilot will receive the ejection seat D-ring from the Safety Systems Section on a plaque which he can then display on the wall of his den or office. That is, of course, if he survives the event. 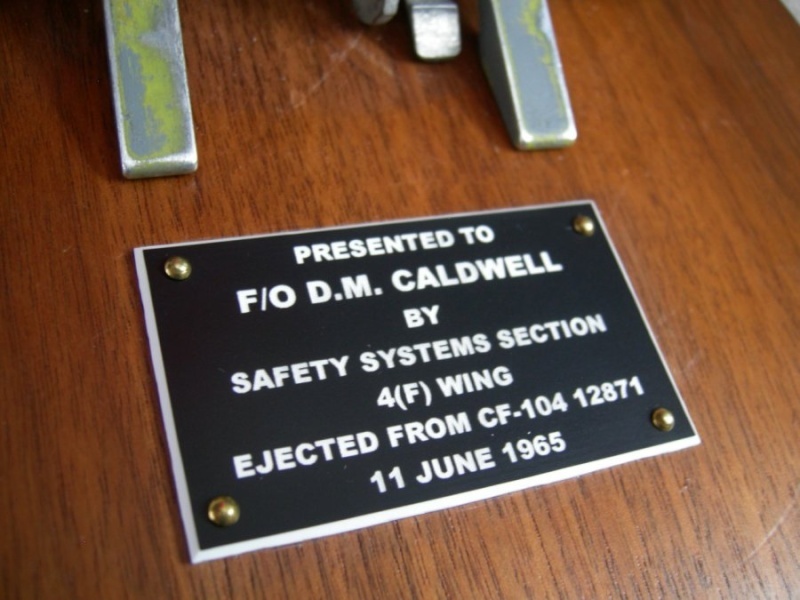 Here is the plaque given to F/O Don Caldwell after his successful ejection from CF104 12871 on 11 June 1965. He departed runway 22 at 4 Wing, Baden-Sollingen at 1400L and ended up hanging by his parachute in a tree a few minutes later. The cause of the accident was attributed to an engine compressor stall resulting from FOD (Foreign Object Damage) although no evidence of a birdstrike was found. 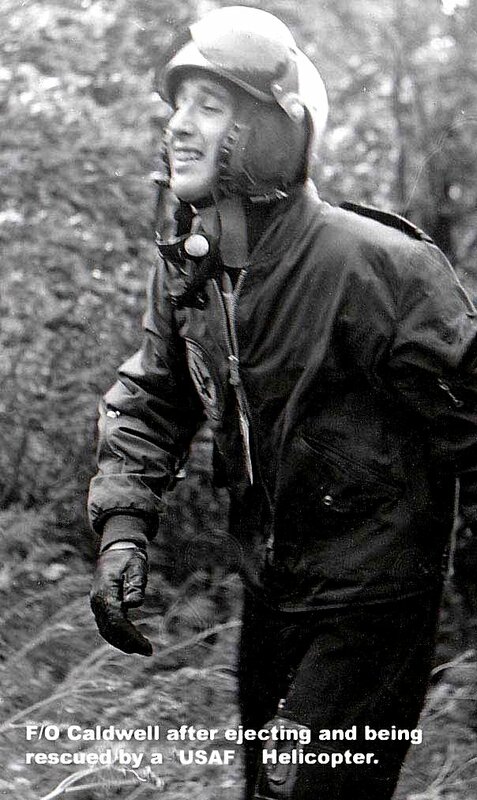 He suffered only minor injury and had to be rescued from the crash site by a USAF Rescue helicopter. He was back flying operationally a few weeks later. Here is what was left of F/O Caldwell's CF104. 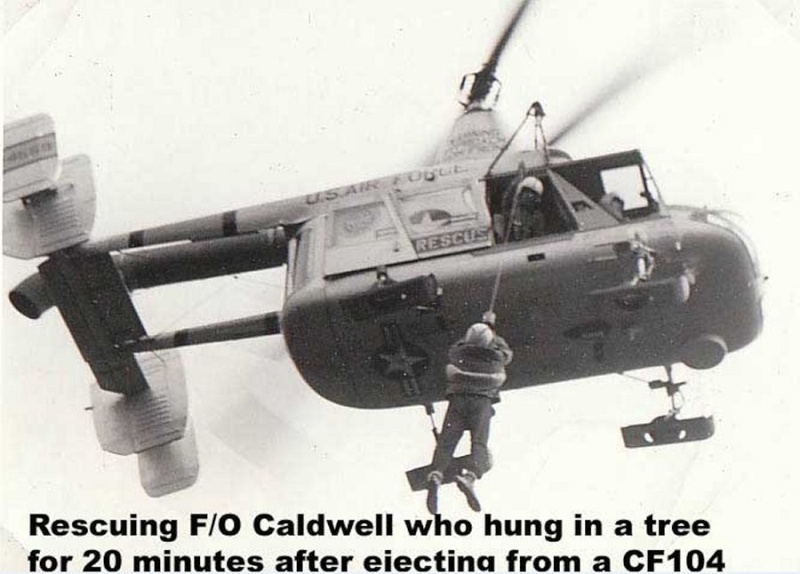 Here is F/O Caldwell being picked up by the USAF Rescue Helicopter. 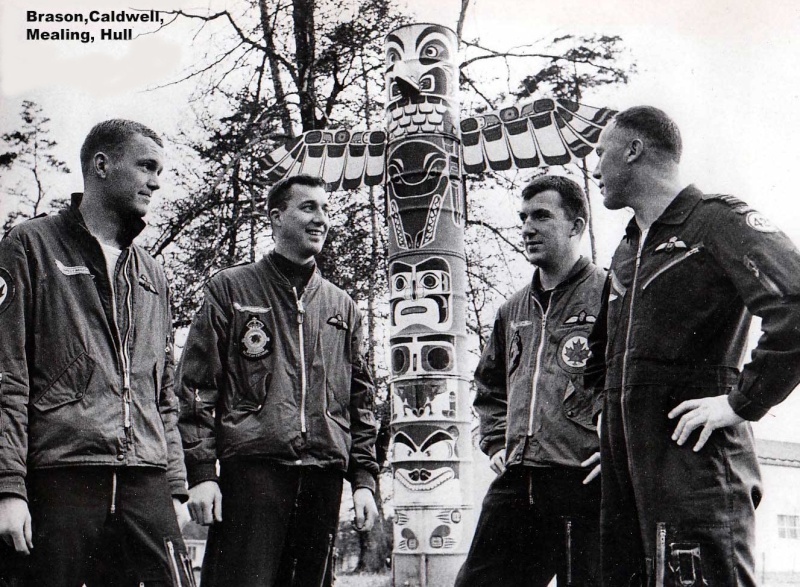 F/O Caldwell (second from the left) after returning to 421 Squadron. 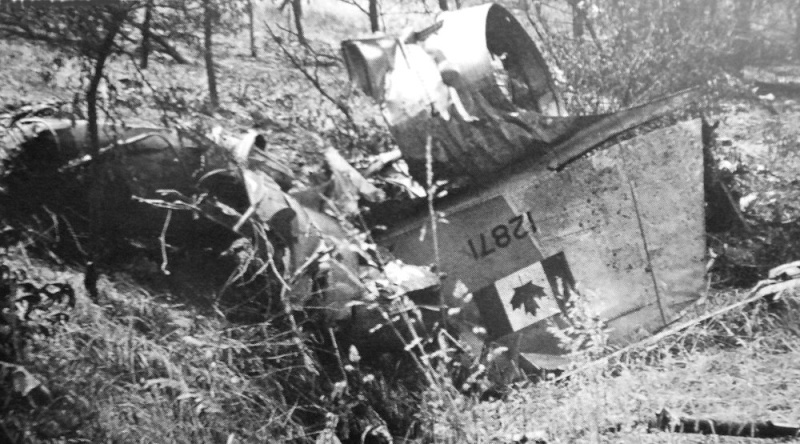 Note: Wally Brason would later die in a CF104 accident and Larry Mealing was killed in a car accident just outside of Baden-Baden. 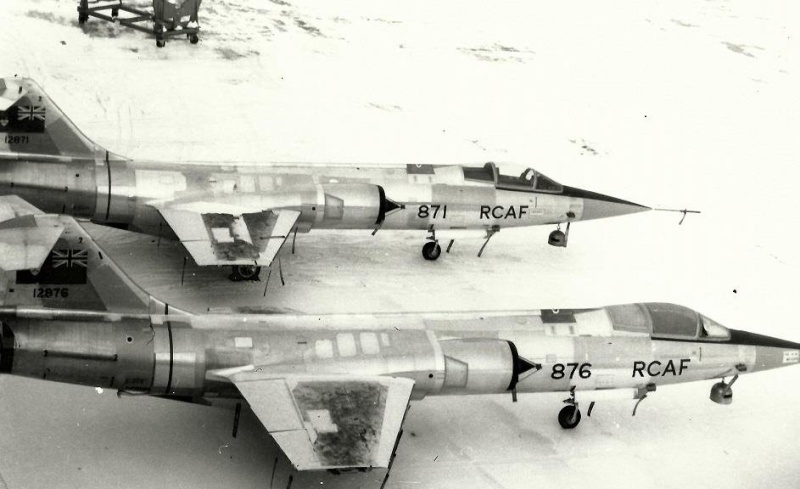 Here is CF104 12871 at Canadair in Cartierville, Quebec just after manufacture. It is awaiting it's acceptance test flight and final RCAF markings. Are they both buried in Europe? 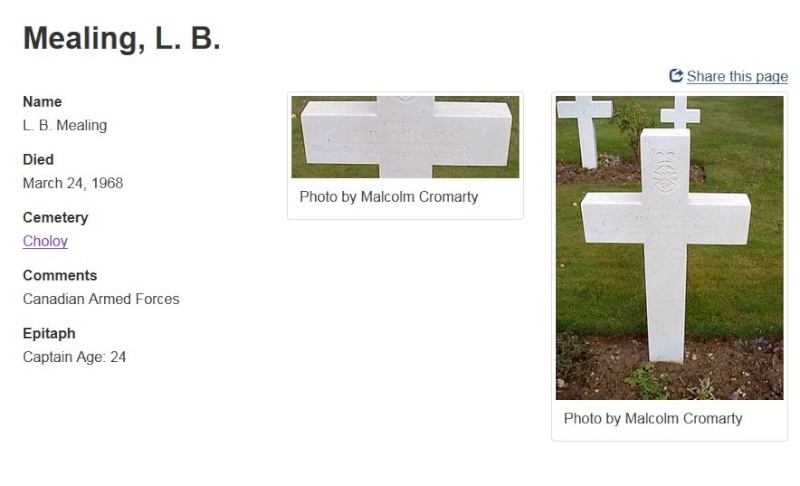 Yes, both are buried in the Choloy Military Cemetery near Nancy in France. At that time it was not policy to bring the remains back home to Canada...much to the dismay of most families. Yes, I have been to the cemetery in Northern Germany for CF personnel but I have not yet been to Choloy. 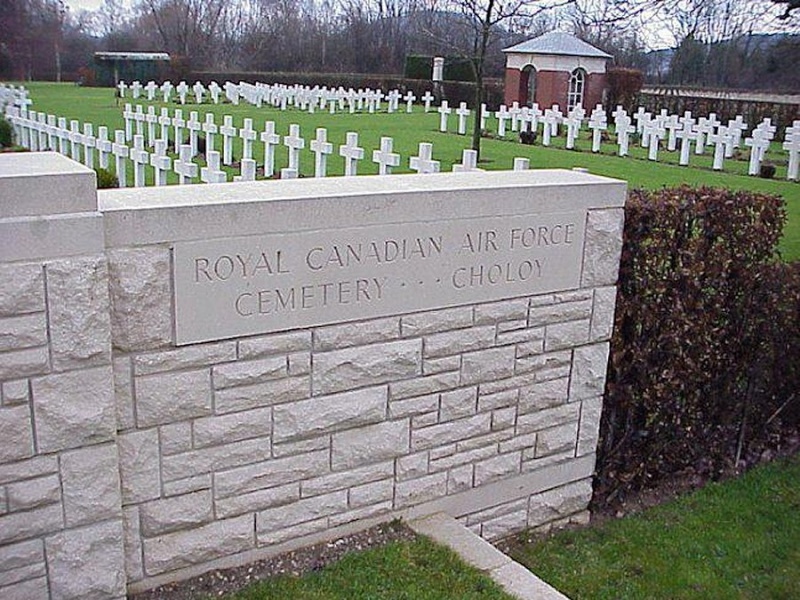 As with all military cemeteries in Europe, Choloy is a beautiful if sombre location and meticulously cared for by the local population. In my humble opinion, the members of the Canadian Forces who gave their lives in the course of duty during the "Cold War" should also be given recognition on Nov 11 at ceremonies throughout Canada. All cenotaphs should bear the Inscription "COLD WAR 1947 - 1991". Is the upkeep of Choloy funded by the CWGC? 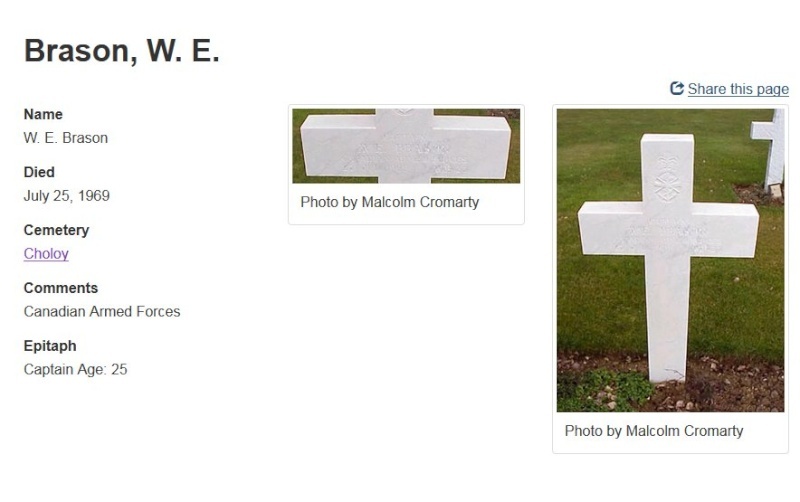 edstorey wrote: Is the upkeep of Choloy funded by the CWGC? Another great post GoldHawk, amazing how you have pictures of every part of the story. Well done. Is the ejection seat handle you have on the plaque the actual handle from the event or would his fellow pilots use a representative one? 48th wrote: Another great post GoldenHawk, amazing how you have pictures of every part of the story. Well done. Thanks for the comments. I like to think of the object as only part of the story. The research to find photos of the places and people is what brings these items to life. The handle (D-ring) is the one that was used in the accident. Here is the only photo I have showing pilots receiving their similar plaques from a Safety Systems Tech. These two pilots (Bain and O'Brien) baled out of a two-seat CF104D in 1970. The cause was a throttle linkage failure. I love the late 1960s, early 1970s era photographs. You have the Safety Systems Tech Corporal still wearing her what was then old RCAF blue uniform, with the two pilots wearing the then still relatively new CF green uniform (with 1960s style narrow ties). It may be the angle of the photograph, but it looks like Capt O'Brien's wings are King's Crown! I agree...it's a cool photo revealing the transition from the original three services to the amalgamated Canadian Forces. 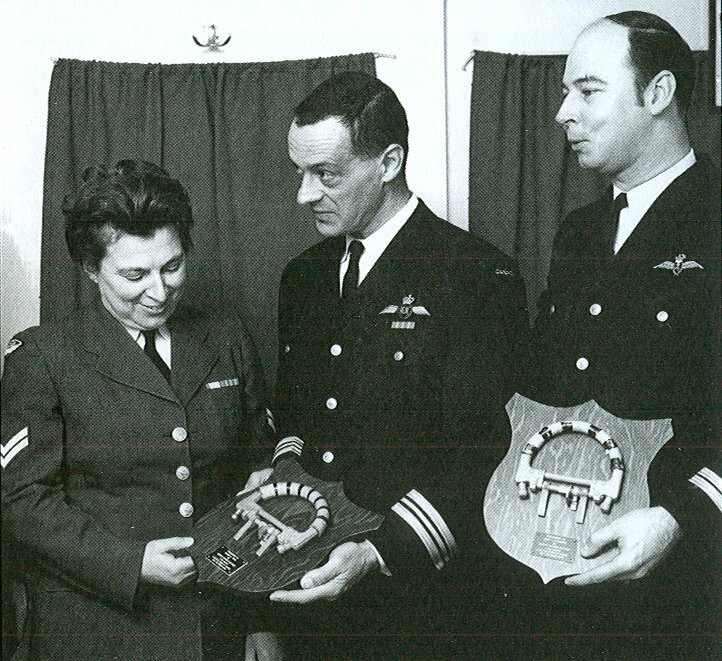 Bain wears his original RCAF vintage pilot wings while O'Brien (a former RCN pilot) wears the Navy wings with what appears to be of King's crown era.